World Science Festival Brisbane is proud to present the inaugural Scientia® Address, an opportunity for audiences to hear from a science icon – someone who has changed our thinking, bettered our lives and opened our minds to science’s limitless capacity for new ideas, stunning innovations and implications for our shared future. 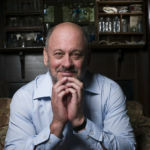 The Scientia® Address 2019 will be given by Tim Flannery – internationally renowned scientist, explorer, conservationist and writer on climate change. Through his engaging and accessible style, Tim has inspired a generation of Australians to stand up for the environment, consider renewable energy sources and fight to sustain our planet’s forests, food sources, waterways and atmosphere. 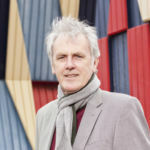 As Chief Councillor of the Climate Council, Tim also advocates for Australians to educate themselves about climate change and lobby governments to pursue worldwide environmental goals. The evening will include an intimate conversation with frequent collaborator John Doyle. Tim will share details about his personal journey and inspirations, his greatest triumphs, gravest concerns and his biggest hopes for our shared ecological future. This event will be signed by a professional Auslan interpreter. SCIENTIA is a registered trademark of UNSW Sydney. SCIENTIA is used under licence from UNSW Sydney.